He also said it would be good if the Parliament and J&K assembly elections are held simultaneously. 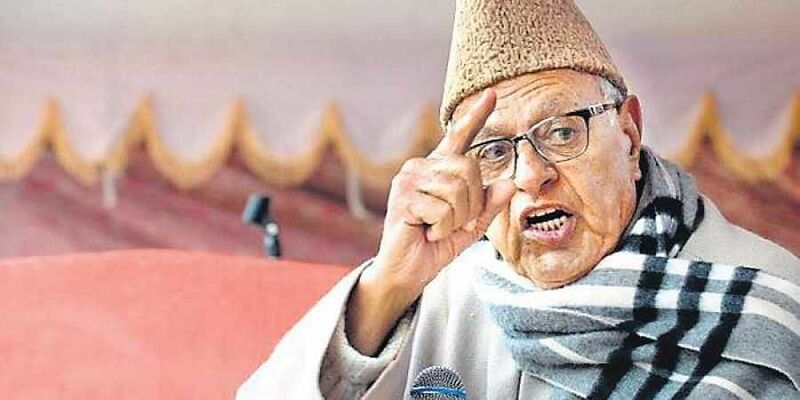 SRINAGAR: Former Jammu and Kashmir Chief Minister and National Conference president Farooq Abdullah Wednesday said only popular government can mitigate the mounting woes of people in the State and asserted that India is not what Yogi Adityanath is depicting in Uttar Pradesh. "Only democratically elected government in the State will advance the cause of development and work for the socio-economic emancipation of the underprivileged. I look forward to early elections for the state assembly," Abdullah said while addressing a function in Srinagar today. The Governor Satya Pal Malik dissolved the State Assembly last month after PDP chief Mehbooba Mufti and BJP's ally and Peoples Conference chairman Sajjad Gani Lone staked two separate claims for forming government in the State, which has been under Governor's rule since fall of PDP-BJP coalition government on June 19 this year. He said it would be good if the Parliament and J&K assembly elections are held simultaneously. Referring to BJP, Abdullah said fighting any election in India by invoking religion is not good. "It (BJP) should tell people what promises they have fulfilled. Have Rs 15 lakhs been given to every citizen, how many jobs have been provided and what has demonetization and GST achieved," he questioned.He said India is not what Uttar Pradesh Chief Minister Yogi Adityanath has depicted in the state by seeking votes in the name of Hindu deity "Ram." "India is a secular nation. The Election Commission should take note of this statement and action must be taken against those who use religion to seek votes," the NC president said. He said it was a tragedy that a police officer in Bulandshahar, UP was targeted and killed under a planned attack by rightwing forces. "The nation must remember that these forces should be controlled and abolished completely," he said. On J&K Bank, Abdullah said the moves to take over control of the Bank have been in the pipeline for a long time. "Now central government thought they would accomplish it during the current Governor's rule. But the new government which would come in the state has to ensure that nothing has been done to autonomy of the bank," he said. According to Abdullah, there was a well-planned design to take over J&K Bank during his tenure as Chief Minister by the then BJP-led central government. "Back then J&K Bank was working fine. But in the office of then Home Minister Lal Krishan Advani, I and Deputy Chairman Planning Commission were present and it was there they told me that J&K Bank should be taken over as it isn't functioning well," he said. "Luckily the Mumbai-based Business Standard published a news report detailing how well the J&K Bank was functioning. I sent the report to Deputy Chairman of Planning Commission who then told me that his information on the bank was not right," the NC President said. He said he doesn't know why plans are being made to take over the bank.